Web media becoming reliable day to day ! Web media is always blamed atrociously for spreading rumours and false news. But over the time many news revealed by web media are becoming true. Upasana - Charan's love affair and possible wedding was published by a Mumbai based website 2 yrs back. Charan who denied the news through Rana's twitter account termed it as a 'BIG' false at that time. Now, we have seen that news is in fact 100% correct. 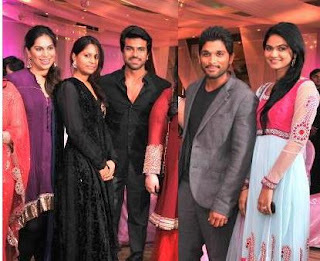 Sameway, Bunny-Sneha's relation was initially broken by an AP based website(which is not functioning now) during Varudu shooting time and which turned out to be true. So, dear readers do not strike off any thing before you see in reality.